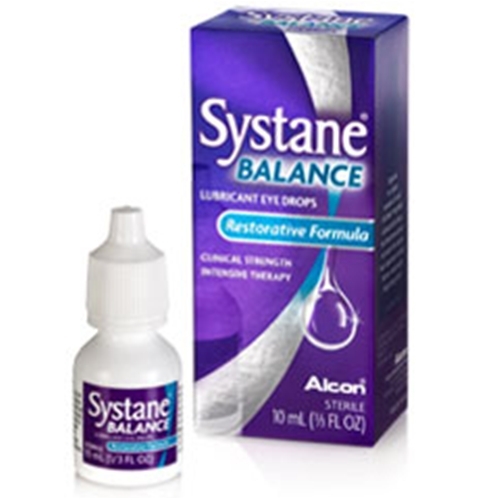 Systane Balance Lubricant Eye Drops Restorative Formula from HealthyKin.com offers extended dry eye relief designed specifically for patients with dry eye associated with meibomian gland dysfunction (MGD) - a common cause of dry eye. Providing clinical strength intensive therapy, the unique formulation of Systane Balance, with the LipiTech System and the demulcent, provides prolonged lipid layer restoration for longer lasting protection from dry eye. This patented formula helps restore a crucial component of tears that locks in moisture to relieve dry eye symptoms associated with MGD. Systane Balance dry eye drops are inherently different from other drops, offering a higher standard of relief.